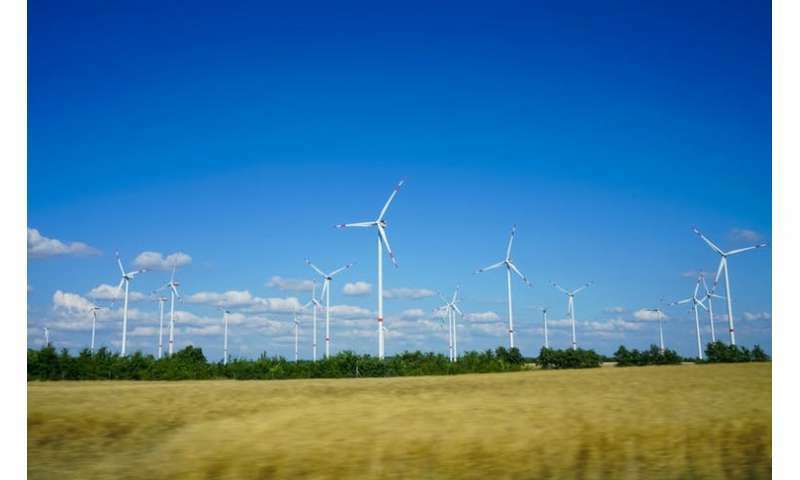 Wind turbines are a leading source of green energy which could supply 12% of the world's energy by 2020. But their use is often criticised for its impact on wildlife, particularly birds. Larger birds can collide with turbines and some have even learned to avoid flying near them. Impacts on smaller birds are less well documented as they tend to manoeuvre around turbines and can avoid impacting with them much more easily than larger species. My own research showed that birds associated with farmland, including a range of songbirds, were generally unfazed – their winter distribution didn't change in the presence of turbines. 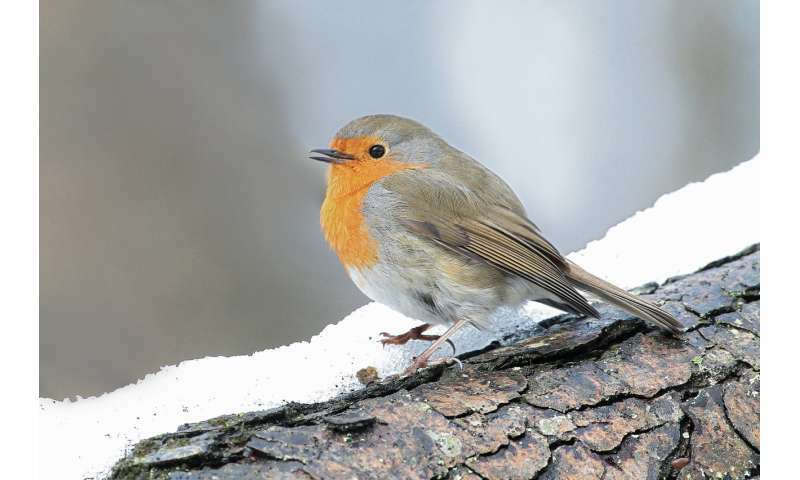 Robins are an aggressive but popular species in the UK, having recently been voted the nation's favourite bird. Males are territorial beyond proportion to their diminutive size. Nevertheless, we subjected territorial male robins to one of three treatments – another robin's song, a robin's song with wind turbine noise, and wind turbine noise alone – via a sound recording device inside their territory. It's suspected that lower frequency noises make the robin singer "sound" bigger and thus reduce the need for more direct physical encounters to defend their territory. 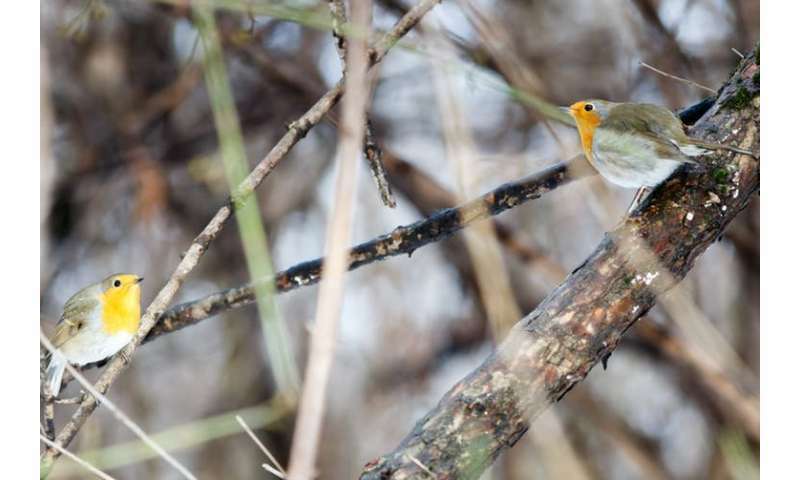 But with the low frequency sound emitted by wind turbines drowning them out, there was a suggestion that robins were having to rely more on puffing out their red chest to deter aggressors. That may be why breeding songbirds, such as the skylark, avoid turbines. Recent work has found breeding bird populations such as the Dupont's lark, a near-threatened species of songbird found in North Africa and Spain, declined in areas with wind turbines.